Welcome to my web site and thanks for taking the time to visit. As you scroll down this summary of my interests and activities more details on specific subjects can be had by clicking on am embedded link or the appropriate menu selection on the side bar. 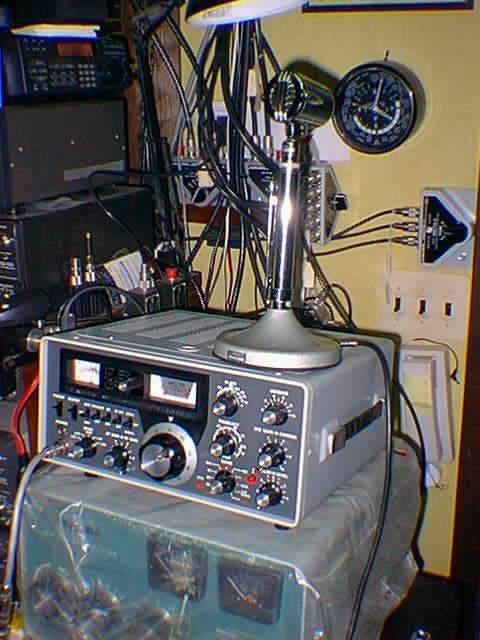 Herein I will share in words and pictures some of the interesting and unique subject matters, experiences and radio equipments that have accounted for my over 45 years of radio enjoyment and 30 plus years as a licensed Amateur. Beginning with my Father's gift to me of a Hammarlund SP-200 receiver (which I still have) when I was a young boy, I have taken a pretty common path into Amateur Radio as many did who started in the early 60's but with some uncommon experiences along the way. I shall also provide some insight into my past pursuits within the hobby in such areas as ALE, HF mobile, repeater system development, software and firmware proejcts and my interests in terrain analysis, path loss, antenna design, propagation and others. 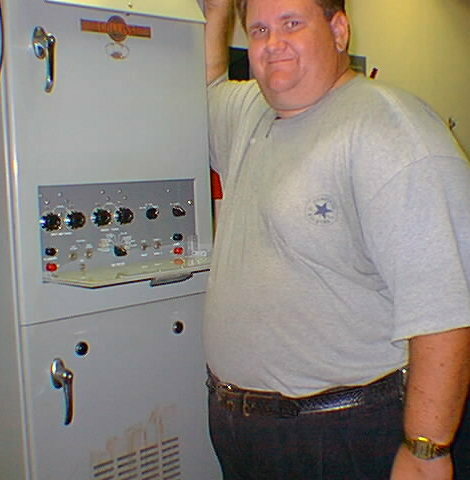 I been involved with less hobby related activities since relocating to NC in 2008 when downsizing of my station took place and I ceased participating on my ARC related projects, both DXing and Contesting have fallen by the way side and I cut way back on repeater systems. I have edited these pages where my past history has been retained and added focus to what I am involved with these days, which is mostly just ALE on the Amateur side and both ALE and MIL-STD data modems on the MARS side. In NJ I have in the past provided support to my local Township Office of Emergency Management (OEM) as a RACES operator and I have provided Public Service communications via my clubs ( Ocean-Monmouth ARC. and AERIALS ARC) various actvities. In 2003 I once again became MARS active with Army MARS after 10 years of MARS in activity. I had started with Navy-Marine Corp MARS in 1981, where in the past I provided MARSGRAM support of our servicemen and women via the Navy-Marine Corps MARS program before family and career got in the way. In returning to MARS I discovered many things had changed and that Army MARS was very different from Navy MARS. I rapidly became involved in many aspects of Army MARS operations on a local NJ and Regional level and later on Chief Army MARS staff after taken a real interest in improving MARS use of ALE as I seen it as my best contribution to the MARS program. In 2004 I began working on tailoring PC-ALE by G4GUO to meet the needs of all MARS Services and aside from some bumps in the road, one of which took place in 2007 which required a transfer from Army MARS back to my roots in Navy MARS where I am on Chief Navy MARS staff for ALE/MIL-STD development. ALE is the best tool in the MARS toolbox for HF Networking to be developed to date and MARS-ALE is the solution for most MARS members due to the cost of hardware ALE systems. MARS-ALE is an MIL-STD-188-141A PC sound device based Modem/Controller with 141B extensions and FS-1052 and STANAG Data Link Protocol Layer extensions which permits full ALE net participation using common computer controlled Amateur Radio grade or better HF SSB radios. If you are a MARS member and have found your way here but are not already a member of the MARS-ALE Forum you are invited to join. ALE reference materials and links can be found at the MARS-ALE Forum files section. After working on MARS-ALE for a few years, I also contributed directly to the PC-ALE baseline and then tool over PC-ALE development by incorporating both my updates and those of G4GUO, that latest of which can be had by clicking here. At my QTH I have spent hours on end at times having FUN chasing DX when I can. I may spent even more time resolving QSL routes to get those confirmation QSL cards, this is not FUN. This is a very personal pursuit that one can undertake regardless of schedule committments. "The worst day of DXing is infinitely better than the best day doing almost anything else with clothes on!" 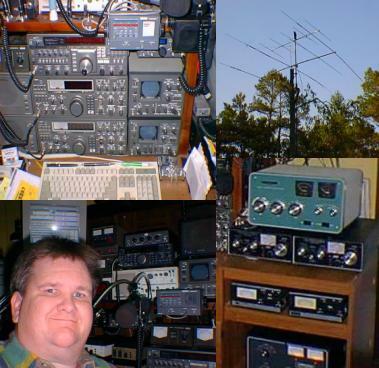 Prior to relocating to NC, for years I worked DX while mobile on HF/6m and portable as well at QRP to 100 watt levels. I found that for years I spent most of my time away from home and often bored in my vehicle, HF mobile changes all that ! 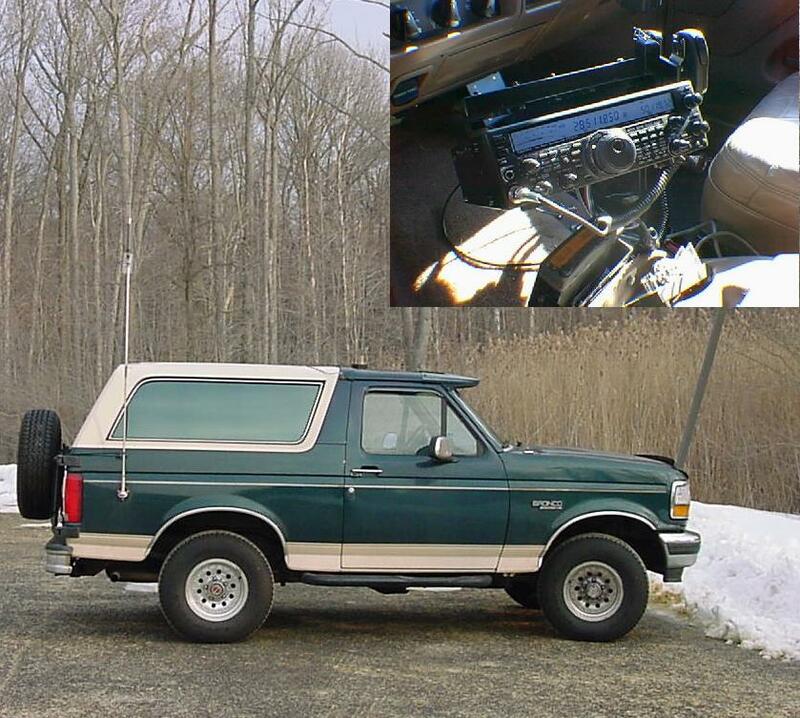 Since moving from my Bronco to an F-150HD and no longer commuting daily I am not HF mobile active, however should that change, I will be HF mobile again as soon I can get the equipment installed as it is the most fun and challenging way to chase DX. Although DXing was not my only pursuit in the hobby, it had always been at the top of the FUN list of my activities in the past. I long ago passed the 270 countries worked, mixed mode phone and CW on HF. I was almost at 5 Band DXCC worked as well and closing in on WAS and DXCC on 6 meters during the last solar cycle when I was in NJ. Although I don't give an IOTA (hi hi), I had also started getting focused on Islands On The Air (IOTA) as I realized I had over 100 IOTA contacts in the log at one point. Contesting came next on the FUN list, especially HF phone DX contests (some CW contesting too) and the ARRL VHF contests. I work all bands 160 meters through 70 centimeters (satellite too, when Oscar 13 was operational), however these days I mostly work 160-6m. I use to work the modes of AM , CW, SSB, FM, PSK31, RTTY regurly and I have also worked a lot of SSTV and ATV, although not currently as I am mostly just on ALE these days, but a really good new Solar Cycle with 6m world wide openings could change that! The photo above is my A4S/A50-5S in a living Oak Tree that was used in lieu of getting involved with the local township in NJ and its stupid 25 foot tower limitation and variance garbage when I was living in Lakewood, NJ. 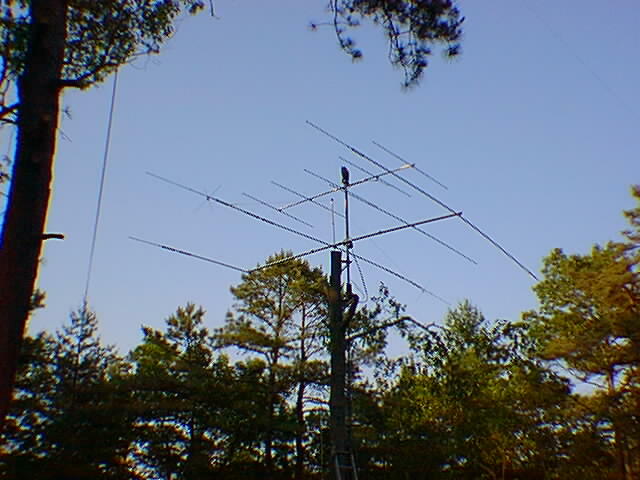 I made an installation out of that tree and others for my HF and Repeater operations and they could not say a word about, well above 45 feet was in use 2000 thru 2008, click here to see the Tail Twister move her around. In NJ had a rather completeAntenna Farm installation for all of my MF/HF operations. I did however suffer from insufficient height for all my VHF plus operations taking into consideration the surrounding terrain and man made structures. Here in NC the mountains provide an even greater issue, so far on HF in the last year here I have installed a full size 2Mhz loop which is my main HF antenna, I also have 125 foot and 500 foot random wire antenna and a 160M COBRA in place. When I hit middle age, I started buying older Yaesu FT-101 series equipment to put complete station on the air like the one I wanted as a kid, that kind of makes sense, right? Well by the time it came to moving from NJ to NC I had accumulated a lot more FT-101 series equipment that one person should have and boy did I realize it when I started to pack it all up for moving!! The '101 series equipment was the station that I wanted and could not afford as a teenager. Many of my friends that were a bit older had these and I wanted the same thing. I also keep looking at the old Hammerlund SP-200 and HQ-120X sitting in the corner as well, is a surplus AM broadcast transmitter for a 160m next? All is not lost, then again, I did acquire my Collins dream amplifier that doesn't leave much room in the house for a commercial AM transmitter. The Collins 204F-1 2.5Kw amplifier pictured below will be an option for full legal limit++ operation on 160m AM, which is saying a lot respect to any amplifier! Click here to read my story on finding this piece of Collins history and about my aquisition of the Collins 204F-1 as published in DX-Magazine. 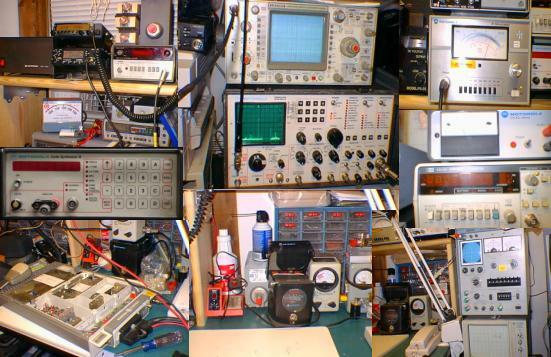 At my Lakewood, NJ QTH I had developed a good test bench where I am now spending a good deal of time in support of my efforts developing repeater systems and a linking hub that began with the N2CKH/R 6 meter repeater system. In NJ I had 6m, 2m, 1.25m and 70cm repeaters on the air from Lakewood and two Internet Radio Linking Project (IRLP) nodes (see the system diagram below) to support worldwide linking. I even built a seperate building on the property to house all the repeaters, when I relocated to NC it was my intention to locate a place that had a suitable building in place for the repeater station and I did find such a place. In addition, in conjunction with AERIALS, I support the 443 repeater system in the Township of Ocean in Monmouth county and provide a link to IRLP acces on that system and will soon be doing the same for the OMARC 145.110 repeater located in Farmingdale, Monmouth county. I am also learning to program for the Linux OS in an effort to add more features to IRLP for DX spotting and Severe Weather Alerting. 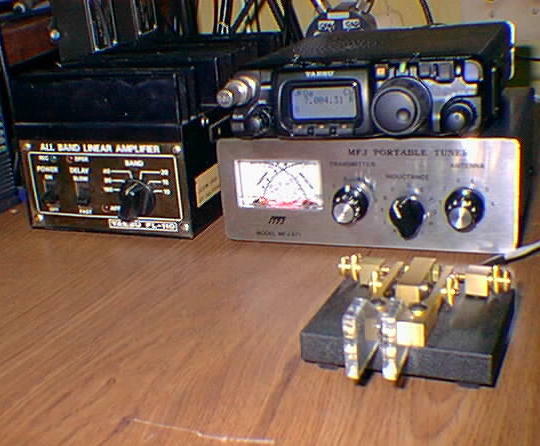 My QRP station position pictured below consists of Yaesu FT-817 5w transceiver and MFJ antenna tuner. I am constantly amazed at what can be done with just 5 watts at times when propagation is good. When a little more QRO is needed I can drive the Yaesu FL-110 100w amplifier pictured next to it. Thanks for visiting, please send me an e-mail on anything you find to be of interest. Entire contents Copyright © 1999 and beyond by Stephen B. Hajducek, N2CKH. All Rights Reserved Worldwide.